Your favorite fake telenovela / TV show / YouTube unboxing videos are back! 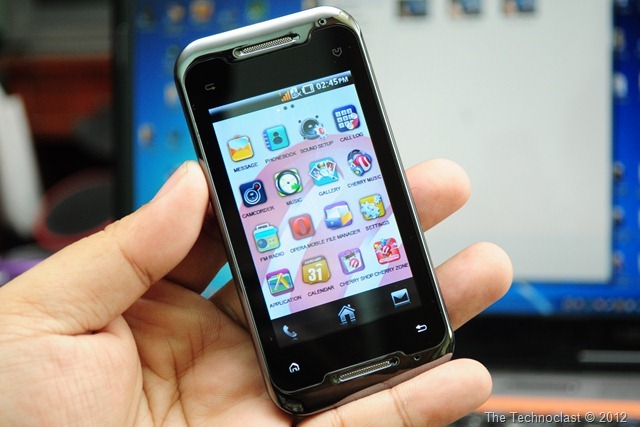 And this time, Cherry Mobile Diaries Episode 3 presents the Cherry Mobile T12. It is a Dual-SIM touchscreen phone with the usual multimedia features and games built in. But what’s unique with the T12 is that you can hold the phone upside down or right-side up and it would still work – even for calls! The phone has an inherent reversible design that adopts to however which way you hold it in portrait mode – so you don’t have to find out which way is up, just hold it any way you like. Finally, a surprising addition to this phone would be the upgrade to a capacitive screen. Most phones of this caliber sport a resistive screen which most people will not like. So its refreshing to see Cherry Mobile equip the T12 with the much more preferred choice. But let us not delay, you can check out the unboxing video (and a bonus check back on the Spark 3D) after the jump! So there you have it guys, a rather longer-than-usual unboxing of the Cherry Mobile T12. The features are actually pretty decent and the capacitive screen is quite impressive for the price of PHP 3,899. So if you’re interested in picking one up, head over to a Cherry Mobile store near you!